We are a friendly family run business with a commendable track record and many years experience in van and car hire in east London. Ask us about any special requirements and you will find our sales team responsive and helpful. Our pricing strategy is clearly explained on our 'Hire Charges' pages and 'Customer' focus and satisfaction is our foremost aim. Barnes Van Hire operates a fast, friendly and reliable van and minibus hire service from our North London depot. Situated just outside the congestion charging zone, we are conveniently located for London Docklands, London and the City of London. Van hire areas include Shoreditch, Islington, Dalston, Bethnal Green, Enfield, Southgate, Totteridge, Whetstone, Potters Bar and all North London. We offer very competitive van and minibus hire solutions. Our van hire fleet in London comprises small vans and short and long-wheelbase Transit vans, including Luton's with tail lifts when required for those heavy objects, or without if preferred. To facilitate larger removals, such as house moves, we recommend our Low Loader Lutons. With NO hidden costs, Barnes Van Hire provides cheap van hire rates, without compromising on vehicle or service quality - includes full insurance. To help keep your costs to a minimum, our information page will help you to select the correct van for your requirements. We provide full details of the capacities of our London vans for hire, and the terms for collection and return are clear. With hire rates that are also refreshingly affordable, certainly for the level of service we provide, our London minibus service includes vehicles of all groups. 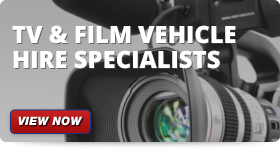 We are also TV and production company van hire specialists in London and across the UK. Please ask about our packing solutions that will help with the transportation process. 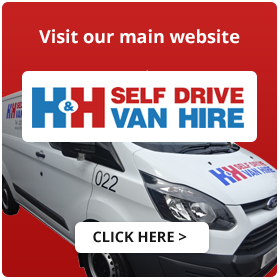 H&H Van Hire offer great value Minibus Hire, van rental & MPV hire for short & long term hire within the areas of: Dalston, De Beauvoir Town, Finsbury Park, Hackney Central, Hackney Downs, Hackney Marshes, Hackney Wick, Haggerston, Homerton, Hoxton, Kingsland, Lea Bridge, London Fields, Lower Clapton, Manor House, Newington Green, Shacklewell, Shoreditch, South Hackney, Stamford Hill, Stoke Newington, Upper Clapton.